They worked there on contracts. Three Ukrainian pilots were confirmed killed in an aircrash in the Democratic Republic of Congo on 30 September, the press secretary of the Ukrainian peacekeeping contingent in the country, Viktor Anufriyev, has told Ukrainian News. "This was an An-12 of a Congolese airline working for the Defence Ministry of Congo. There were three Ukrainian pilots onboard, who worked on contracts. All of them were seniors," he said. 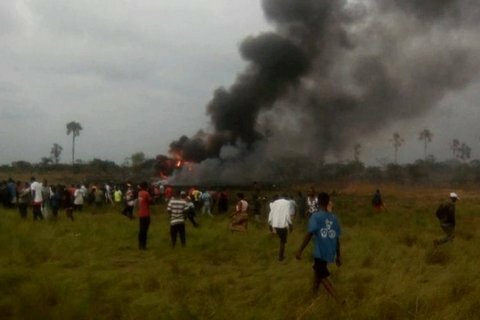 The transport aircraft crashed in Kinshasa, the capital of the Democratic Republic of Congo, on the morning of 30 September.